Hey guys, this guest post comes to us courtesy of Matthew Yeoman at Devumi. SoundCloud is a fantastic platform for promoting your music. But you can’t just upload your tracks an expect people to find your music. You have to be proactive about promoting your tracks. 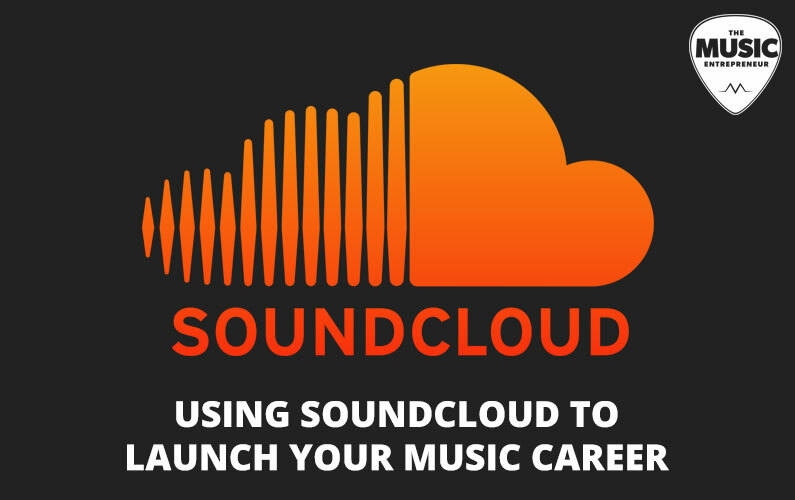 So, let’s learn how to use SoundCloud to launch your music career. Let’s face it: Your fans, no matter how loyal, are going to go online and listen to your music for free at some point. It’s just going to happen. You’ve done it. I’ve done it. Let’s recognize it and see if there’s a way to turn it to our advantage. One way to do this is to steer people away from using torrents, which you have no control over and get no information from, and get your fans to use SoundCloud instead. This online music hosting platform has many features to it which you can use to control how people listen to your music, get a little data, and maybe one day make money from it using On SoundCloud Premiere’s revenue sharing. Let’s look at how you can best use SoundCloud to build your career from the basement and bars, to the penthouse and stars. Yes, I know that there are other music streaming services out there. A problem I see with them is their poor social integration, as well as how they create walls around your music. Both of these limit fan interaction. Take Spotify as an example. You have to sign up for an account before you can listen to a track. Aren’t you sick and tired of having to sign up for everything online? Especially something you’re not sure of? I know I am. Just press play. No signups. Your new fans can get right to listening to your tracks and figure out whether or not they want to sign up. Look at the little images along the bottom. Each of these comments are from a user that has signed up. Comments can be made at specific moments in the track, giving you some insight into what your fans are thinking about specific aspects of your music. Now you, as a young musician trying to build a rabid fan base, have the chance to interact with fans. You may forget this, but Kanye West built his early career on interacting on a more personal level on his blog. Right here, on SoundCloud, with your fans having their say, is where you can build a “blog” on SoundCloud one reply at a time. If you ever forget how important it is to interact with your fans, get out of the music business. Fans are given a general template of what will be said when they share a track, and they can add their own comments to it as well. It does all the “work” of sharing for your fans, offering you more chances to be seen online. The size of your following on SoundCloud is everything. The more you can get people to push that orange follow button, the more your music career will open up. It signals to even more fans that they should follow you, it signals to other artists that they will want to work with you, and it signals to music labels that they should sign you. Real world: you’re going to have many opportunities in the real world to push your SoundCloud profile. Put your address in your band’s promotional material, on your merchandise table, on your receipts, and don’t forget to scream “Listen to us on SoundCloud!” before the end of your show. Website: once you start uploading tracks, you’ll obviously want to push people to your SoundCloud account for a follow. One of the best ways to do this is to embed a SoundCloud track right on your homepage, preferably your most current one, and use a big “Follow us on SoundCloud for our latest track!” call to action. Social Media: everyone has social media accounts. Start pushing your followers and friends to go to your SoundCloud account. These people already know who you are. Your most difficult challenge on SoundCloud is to get those first few followers, and you need to utilize your current audience as best you can to get your account kick-started. Every chance you have to push your account, and drive your follower numbers, is a chance you have to take. Followers are going to be your currency for future influence, and for making money down the line no matter how you plan to monetize. Remember at the start of this article when I talked about how everyone has listened to music for free online? We all know, like we know when we’ve stepped on burning hot lava with no shoes on, that the music industry has changed because of torrenting and P2P. Let fans download recordings of concerts, and save your albums for purchasing. Let fans download your big hit, but keep your full album for purchase only. Release rare tracks and unreleased songs. Test out a new song before you let it go big. Ask for feedback. There are as many ways to use track downloads as you can think up. With this control you can learn what is and isn’t working via the statistics which SoundCloud collects for you. Your fans, meanwhile, feel like they’re getting a little extra from you. It can also act as an incentive as you have to be signed into your account to download. Once they’re signed in they can follow you on SoundCloud. Use calls to action on social media to highlight the tracks you have available to download, and encourage follows that way. The unique features of SoundCloud. Follower growth tactics across the online and offline worlds. Your downloads as an incentive to follow. 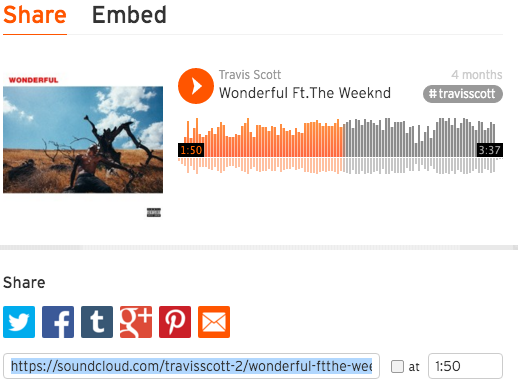 Last, don’t forget to embed your tracks everywhere you can, whenever you can. It’s simple to do (paste the URL on a line by itself in WordPress, or use the “Embed” tab in the Share window to paste the HTML), even a marketing writer can do it! Matthew Yeoman is the social media analyst and blogger at Devumi.